Agent Curl has been assigned to sneak into a museum after hours to steal a precious gem stone. Things seem to be going smoothly until his rope breaks on his decent over the gem. He falls to the floor and triggers one of the strangest alarms he has ever had to deal with... a tower that continues to build itself! Free to Play Coming Soon! 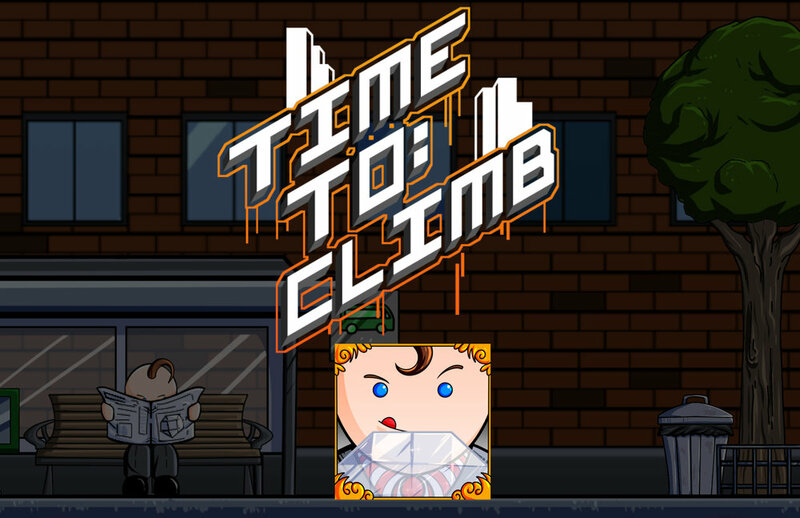 Time to Climb is a tower climbing game where you must outrun an alarm system that was set off when Agent Curl took a precious gem from the museum. Unlock lock different outfits as you rack up a high score! The tower is building right on top of you! Climb and jump to dodge obstacles as you collect more precious items in towers that change themes as you make your escape! How high can you climb?